Should I Buy Fitbit Stock After Q1 Earnings? Subject: Should I Buy Fitbit Stock After Q1 Earnings? Yes, Fitbit stock has soared 15.2% in the last month. It's also outperformed much stronger tech stocks like Apple Inc. (Nasdaq: AAPL), which is down 13.5% over the same period. And shareholders hope the Fitbit stock price will push even higher after the Fitbit Inc. (NYSE: FIT) Q1 earnings report today (Wednesday, May 4). But some are concerned about Fitbit's long-term potential. After all, the FIT stock price is still down a massive 41.9% in 2016 and has traded below its $20 IPO price since Jan. 8. That's why we dug deeper into the company's fundamentals and have decided whether investors should buy Fitbit stock after its Q1 earnings report today. The biggest number to look for in today's earnings report is Fitbit Blaze sales. The Fitbit Blaze is the company's newly released smartwatch. 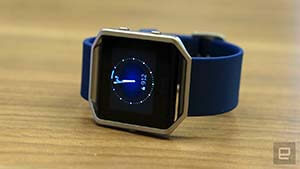 Fitbit announced the product during the Consumer Electronics Show (CES) back in January. While the Blaze is used for tracking exercise and other health metrics, it can also be used for calling and texting, similar to the competing Apple Watch. And the Blaze is already crushing the smartwatch competition. According to MarketWatch, Fitbit sold more than 1 million Blaze devices – which cost $200 each – during their first full month of availability in March. It also became the best-selling smartwatch on Amazon.com Inc. (Nasdaq: AMZN), beating out the $350 Apple Watch. 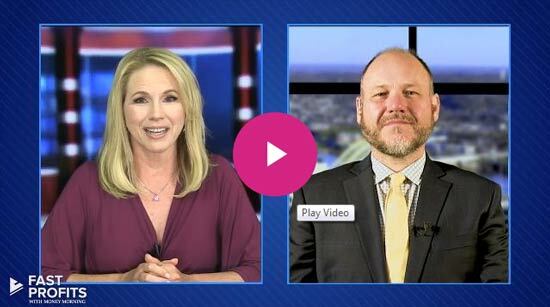 Investors are curious to see if the Blaze's success leads to another earnings beat. During Q4, Fitbit earned $0.35 per share on revenue of $712 million. That crushed analyst projections of $0.25 per share on revenue of $648 million. Despite the earnings beat in Q4, the Fitbit stock price fell 20.8% overnight. Shares kept falling for the rest of the week to their lowest level ever at $12.15 per share. Today, analysts at FactSet Research Systems Inc. (NYSE: FDS) expect Fitbit to earn $0.03 per share on revenue of $444.7 million for the first quarter. That compares to $0.27 per share on revenue of $336.8 million during the year-ago quarter. The massive 89% drop in earnings per share is due to the overall slump in tech stocks last quarter. After all, the S&P 500 tech sector fell 8.5% during the first two months of the year. Is Fitbit Stock a Buy After Q1 Earnings? When looking at monthly performances, it's clear Fitbit stock is a great short-term play. Shares have gained 10.6% over the last month and saw a whopping 24% jump in March alone. 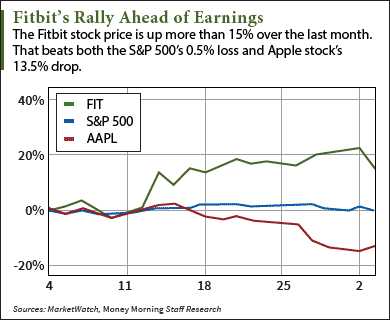 But the Fitbit stock price is also poised for long-term gains thanks to the booming wearable tech market. According to CCS Insight, wearable tech sales are projected to hit $14 billion this year, with smartwatches and fitness trackers dominating the market. Furthermore, roughly 411 million wearable devices – worth a combined $34 billion – are expected to be sold in 2020. When the Apple Watch was first released in April 2015, CCS analysts expected sales of 20 million units by the year's end. Although Apple hasn't released sales numbers yet, analysts now estimate only 12 million were sold last year, giving Apple 66% of the total smartwatch market. But the Fitbit Blaze's record first-month sales make it the Apple Watch's most intimidating competitor. A good portion of Fitbit's Q1 revenue will likely come from the Blaze, which raked in $200 million in sales back in March. We see the Fitbit stock price surging 51% to $25.93 a share by the end of 2016. That estimate is based on the fact that FIT is trading at 22.9 times its current earnings and Thomson First Call analysts expect full-year earnings per share of $1.13. The Bottom Line: Despite big gains over the last month, Fitbit stock has struggled in 2016. The broader market slump and tech volatility in January and February pulled the Fitbit stock price down to its lowest level ever. Although the firm expects to see a big decline in Q1 earnings, we still think FIT stock is a good investment at its current price. The exploding wearables market and the Apple Watch's lackluster sales offer Fitbit stock plenty of room to run in 2016. Alex McGuire is a writer for Money Morning. Follow him on Twitter for the biggest Fitbit stock updates.